If you are searching for an easy-care, stylish ornamental tree, take a good look at this fabulous offering. Chaste Tree (Vitex agnus-castus) is one of only a handful of winter-hardy trees that blooms with true-blue flower spikes all summer long. You'll love the way it attracts butterflies, or "Flying Flowers" to your yard. You will be hard-pressed to find a more spectacularly beautiful plant with more outstanding qualities. It's a fast-growing, multi-trunked tree, and rest assured. You don't need any special skills or knowledge to grow this tree in your yard. It's easy to grow in well-drained soil. It's drought-tolerant and disease resistant. You'll be very pleased at the return you get on your limited investment (both of time and money!) with this tree. Also known as Monk Pepper, Chaste Tree has handsome and aromatic green foliage with a decidedly silvery cast. As summer heats up, your Chaste Tree will astound you with its impressive blue spikes that bloom right up until autumn. Though always appreciated for the beautiful blue-purple flowers, the plant was commonly grown as a medicinal plant to instill purity in women. This tree was named "chaste" in medieval Europe, because it was thought that a potion made from the flowers would cure an overactive libido. We know that just the opposite is true. You will fall madly in love with this plant in your yard. Don't let summer go by without adding one from Nature Hills to your landscape! The Chaste tree can be used in a variety of different ways. Its upright growth can be pruned to approximate either a large shrub or small tree to fit your needs. Wonderful whether in bloom or not, it performs beautifully as a specimen or small patio tree. The spreading canopy is light and airy, which gives an enormously satisfying dappled shade. 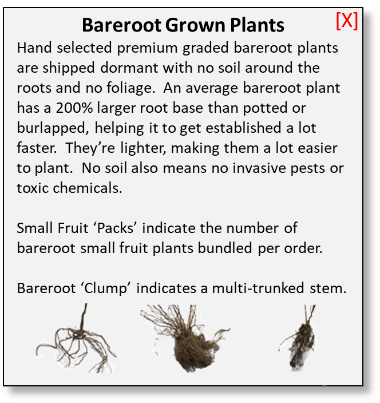 Plant a single tree as a specimen in full sun. Or, use it as a naturalized, multi-trunk focal point in a garden bed. Let the lower branches fill in and try it as an outrageously beautiful hedge or light screening plant. This is especially effective along a driveway or property line. It also does well in a container but will require regular watering to keep it healthy. In the ground, the Chaste is a low water plant once established. The eye-catching Chaste contrasts well in a perennial bed or with darker colored foliage plants like Smokebush or Ninebark shrubs. The Chaste Tree traces its history back more than 2500 years. Different medicinal attributes associated with Chaste Vitex and the compounds it produces are continuing to be studied and utilized in holistic science today. Yes, compounds from this beautiful plant are found in Vitex supplements in every health store across the country. Especially celebrated for help with women's issues, this giving tree may be one of the most perfect trees to celebrate children and loved ones. Many women will know just how meaningful Vitex was to support them on their fertility journey. Hint, hint - this tree would make a wonderful gift! Native to western Asia and southwestern Europe, the aromatic gray green foliage contrasts well the light to dark blue-purple terminal flowers spikes. The tiny fragrant flowers are clustered along each terminal flower spike and last for a very long time from spring throughout the summer. In some climates, it will rebloom in the fall. Clip spent flower heads to keep a clean look to the plant. This will also encourage a rebloom to occur. This mindful task can be quite relaxing, and it's never a chore. Lightly prune limbs by cutting back to the point that they originate from on the trunk. Cut back as much as 1/3rd of the entire canopy height in a season to control height. However you use this lovely tree in your landscape, we know you'll appreciate it's great looks. Order yours today!